Our mission at WWA is to build lasting, connected relationships with our clients and their families by helping them build and manage wealth for themselves and future generations. 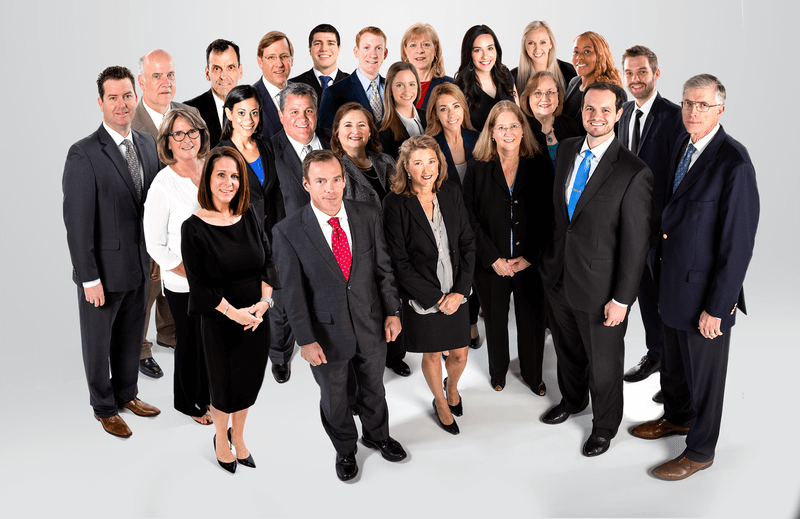 We are a multi-generational firm committed to following a comprehensive and disciplined approach, backed by academic research, that provides integrated lifetime financial planning solutions for our clients, their businesses, and their future generations. Our holistic approach - focusing on 16 interconnected areas - combined with expert guidance allows clients to confidently accumulate wealth, minimize risk, generate retirement income, and distribute assets. We place your unique goals and circumstances at the center of our Wealth Management and Retirement Income planning process to build a customized plan working in conjunction with other members of your team (CPA, Attorney, Banker, etc). We insist on understanding all facets of your financial plan - from your personal life insurance to the company 401k and everything in between - before making any specific recommendations to ensure your plan is properly executed. This approach allows us to develop, implement, and maintain a comprehensive retirement income and estate plan for our clients that will span generations backed by the highly qualified WWA team. Charles Herman Armstrong III, Harold David Travis , Jason Andrew Bang , Joseph Robert Fallon Jr, Joseph Thomas Wunderlick Sr, Karen Marie Wilund , Kathleen Sullivan Wunderlick , Todd A Braden , Tom Weilert and William Herron Brezette use WWA Integrated Wealth Strategy Group as a marketing name for doing business as representatives of Northwestern Mutual. WWA Integrated Wealth Strategy Group is not a registered investment adviser, broker-dealer, insurance agency or federal savings bank. Northwestern Mutual is the marketing name for The Northwestern Mutual Life Insurance Company, Milwaukee, WI (NM) (life and disability insurance, annuities, and life insurance with long-term care benefits) and its subsidiaries. Charles Herman Armstrong III, Harold David Travis , Jason Andrew Bang , Joseph Robert Fallon Jr, Joseph Thomas Wunderlick Sr, Karen Marie Wilund , Kathleen Sullivan Wunderlick , Todd A Braden , Tom Weilert and William Herron Brezette are Representatives of Northwestern Mutual Wealth Management Company® (NMWMC), Milwaukee, WI (fiduciary and fee-based financial planning services), a subsidiary of NM and limited purpose federal savings bank. All NMWMC products and services are offered only by properly credentialed Representatives who operate from agency offices of NMWMC. Charles Herman Armstrong III, Harold David Travis , Jason Andrew Bang , Joseph Robert Fallon Jr, Joseph Thomas Wunderlick Sr, Karen Marie Wilund , Kathleen Sullivan Wunderlick , Todd A Braden , Tom Weilert and William Herron Brezette are Agents of Northwestern Long Term Care Insurance Company, Milwaukee, WI, (long-term care insurance) a subsidiary of NM. Charles Herman Armstrong III, Harold David Travis , Jason Andrew Bang , Joseph Robert Fallon Jr, Joseph Thomas Wunderlick Sr, Karen Marie Wilund , Kathleen Sullivan Wunderlick , Todd A Braden and Tom Weilert are Registered Representatives of Northwestern Mutual Investment Services, LLC (NMIS) (securities), a subsidiary of NM, registered investment adviser, broker-dealer and member FINRA (finra.org) and SIPC (sipc.org). Charles Herman Armstrong III, Harold David Travis , Jason Andrew Bang , Joseph Robert Fallon Jr, Joseph Thomas Wunderlick Sr, Karen Marie Wilund , Kathleen Sullivan Wunderlick , Todd A Braden , Tom Weilert and William Herron Brezette are Insurance Agents of NM. Charles Herman Armstrong III, Jason Andrew Bang , Joseph Robert Fallon Jr, Joseph Thomas Wunderlick Sr, Kathleen Sullivan Wunderlick , Todd A Braden , Tom Weilert and William Herron Brezette are primarily licensed in TX and may be licensed in other states. Harold David Travis is primarily licensed in KY and may be licensed in other states. Karen Marie Wilund is primarily licensed in MO and may be licensed in other states.